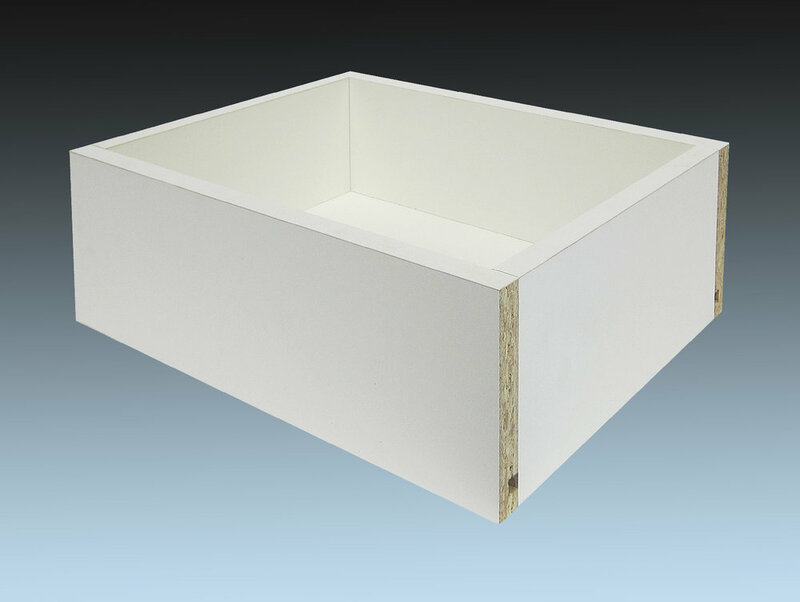 With an M3 particleboard core and bore & dowel construction, TFL drawers are durable and strong. Because of their durability, TFL drawers are often found in high-use applications such as case goods and office or healthcare systems. TFL drawers are available in strips, components, or fully assembled. Thickness: 3/8", 1/2" 5/8", 3/4", 1"